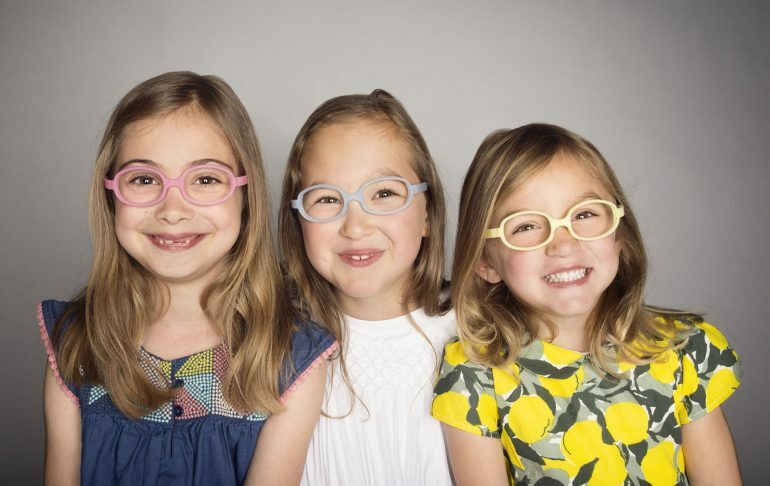 Kids fashion in the optical industry is considered equally as essential as adult optometry, by adding 7 more frames to the already successful collection, MN-Ogi Kids is definitely covering the ground! These elegant, classy and dressy frames are exclusively designed according to kids preferences and desire. Dynamic colours, trendy and unique design composition of the frames, has made kids more inclined towards fashion. Enumerating more to the already comfortable design, the optional sun clips have been installed for kids having the value of self-expression. This dazzling frame features gorgeous jewel-toned acetate fronts with coordinating chop temples, the dynamic popping colour and versatile rectangular shape is simply a wise choice for fashionistas! Added spring hinges and made with best quality material available, these resilient frames are appealing even to look at. The OK338 is unique, distinctive cat style frame with a charismatic feminine knack. The colour is exclusive and trendy while the marble front with coordinating opaque temples design adds extraordinary nifty look for any female. Introducing OK339, a petite P3 frame exclusively for kids with a value of style and class. This contemporary style comes with a striped acetate in a round shape with a keyhole bridge with an added spring hinge for a smart and chic look. The swanky yet trendy colour adds a subtlety to the creativity of the frames. The frames are built exclusively with features designed for comfort, with best quality material while maintaining the contemporary fashionable look.